The market today is overwhelming with variety when it comes to knitting needles. While this comes as a welcome option for the experienced knitters who would love to try their hands on all the available options, it can sometimes be very confusing and quite frustrating for the beginner knitter to decide on which needles to start with. The type of needles which one eventually buys and prefers to use is largely a matter of personal choices and preferences, however, there is some insight about needles that we would love to share in your mission to create some magic with your fiber art! If the yarn is very fine, smooth and slippery, it would work well on wooden and bamboo needles. These needles have a certain grip on the yarn which prevents the stitches from slipping off the needle. 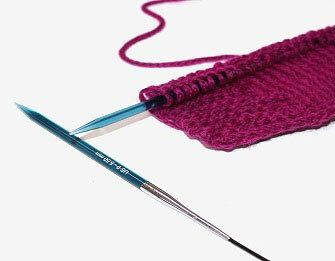 These needles are warm to the touch and also result in less muscle fatigue while knitting. Some knitters knit each and every item on these needles. 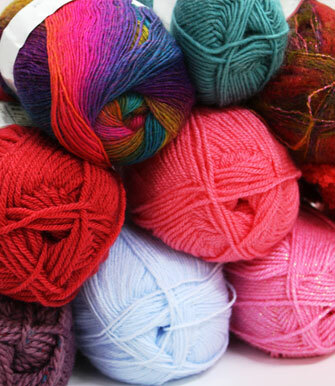 Fuzzy yarns and those made of synthetic fibers give a better knitting experience with metal needles. Since these needles allow for easy gliding of stitches between needles, they are sometimes the needles of choice of those who are looking for speedy knitting. Plastic and acrylic knitting needles are relatively inexpensive and come in beautiful and bright colors, making them an excellent option for teenage and young knitters, as well as for beginners and budget watchers. 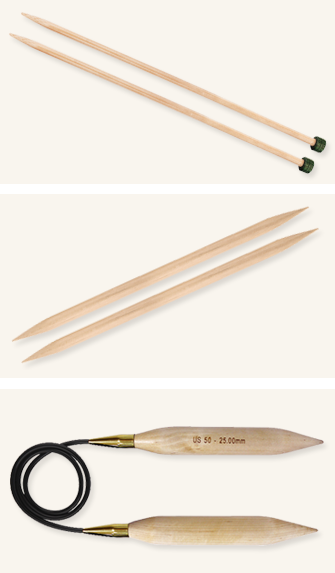 All knitting needles perform the same essential function, but different styles of needles are available in the market depending upon the type of knitting project. These are single point needles, double pointed needles, and circular needles. Single pointed needles, also sometimes called straight needles, are pointed at one end and knobbed at the other, therefore allowing knitting from a single point. These needles are used to knit back and forth and create flat knitted pieces. Double pointed needles or DPNs are straight needles with both ends pointed and are sold in sets of four or five. These needles are used as a set to create tubular items like socks seamlessly. Circular needles are two straight, single pointed needles joined together by a flexible cable. These can be used for both flat knitting and knitting in the round. As a result, they are increasingly becoming the preferred type of knitting needles among knitting enthusiasts who do not wish to stock different needles for different projects. Circular needles are available as fixed circular needles and as interchangeable circular sets with the option of changing the length of the cable and the size of needle tips as per the requirement of the project, thus adding a lot of value to the investment. A lot of stores nowadays stock sample needles which the customers can try out before they decide upon which ones to buy, so this gives a good option to the buyer while deciding which ones they like better. One can also borrow different types of knitting needles from fellow crafters and use each one to see what suits their requirements best. At Knitters’ Pride, we offer the Comby sampler sets where one gets to try out three different sizes in different materials and then decide which ones they find best for themselves. We hope that this article would be of assistance to all those who are not yet decided upon what they are going to buy as their first needles.